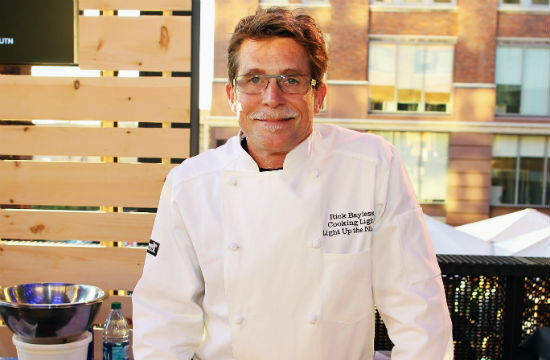 Live Out Your Fantasy Weekend With Rick Bayless For Only $4,000! Are you sad inside because you don’t have $250,000 to give Neiman Marcus in exchange for a dinner for ten cooked in your kitchen by Thomas Keller, Daniel Boulud, Richard Rosendale, and Jerome Bocuse? We have good news! But only if you have a spare $3,215-$4,075 laying around: you can enjoy a private dinner with Rick Bayless, instead! Deal/”experience” site Goviva is offering a package ranging from $3,250 (for four people) to $4,075 (for one) to wine, dine, and otherwise commune with Rick Bayless on his home turf. The package includes a two-night hotel stay at the Fairmont Chicago, a four-course tasting menu at Topolobampo served by Rick himself, plus a recipe demo, and a tour of his test kitchen. The next day includes a tour of his garden and a VIP private dinner cooked in his backyard. Bonus swag includes a personalized chef’s coat, a signed cookbook, sauces, and other assorted Rick Bayless products.